For many years Mozilla’s Firefox was the web browser of choice for many so called “computer geeks”, but somewhere along the line that all changed and there was a steady exodus by these skilled computer users to other web browsers. This did not deter Mozilla from trying to keep making their Firefox product even better. Although they have not gotten back to the once lofty status among the computer geeks, their release of their Firefox Developer Edition has made them a significant player in the market again when it comes to website creation. This is because of the outstanding development tools that this new version of Firefox now has to offer. Let’s take a look at a few of the more relevant ones. It has outstanding creation tools to use in the process of website creation. Included in the program is a scratchpad editor, style editor, shading editor, and a web audio debugger. All these are easy to navigate through and use with Firefox Developer Edition’s user friendly point and click interface system. It takes little or no time to get used to navigating through the user interface system. Debugging the website that is being created is fast and easy with Firefox Developer Edition’s debugging tools. These include such things as a page inspector that can help easily examine and modify the structure and layout of a page, a developer toolbar that gives the website creator quick access to a number of debugging tools that are found within Firefox and a storage inspector that enables the creator to inspect the various kinds of storage that a web page can use. Firefox Developer Edition also includes a wide variety of advanced web development and creation tools. These include tools such as a debugging protocol that allows a web creator to connect to a browser and find what kind of things are present in the newly created website to inspect and debug. It also has tools such as source code editors that can be planted in your site add-ons to help them work better. This edition has truly brought Firefox into a web creation area that it has never dared to go before and accomplished it with a high level of quality and reliability. Because of this, it looks like Firefox’s Developer Edition will be a popular choice among web creation pundits for a long time to come. 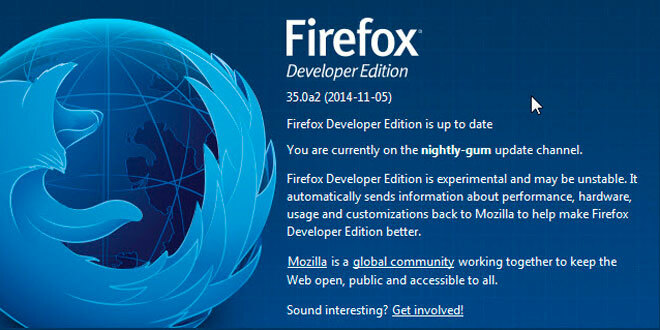 Firefox’s Developer Edition will long be remembered as a big step up in the process of web creation and development.